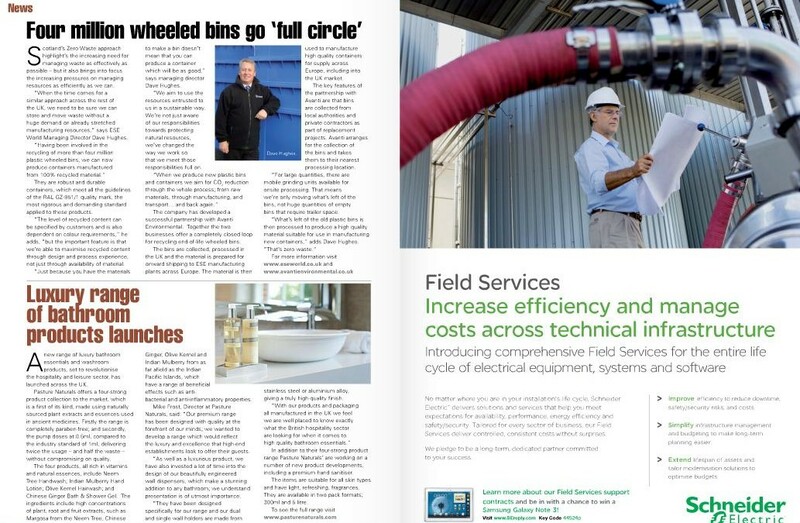 Building and Facilities Management Magazine have used an ESE World case study as a news item for their June 2014 edition. The recent piece, entitled Four million wheelie bins go “full circle”, provided insight into ESE World’s recycling approach when manufacturing its plastic wheelie bins – with an overall aim of reducing waste and CO2 throughout the process. To visit the magazine and read the article, visit page 4 of the Building and Facilities Management magazine – available to view here.